I had this noted to post for Cinco de Mayo and I totally blanked! 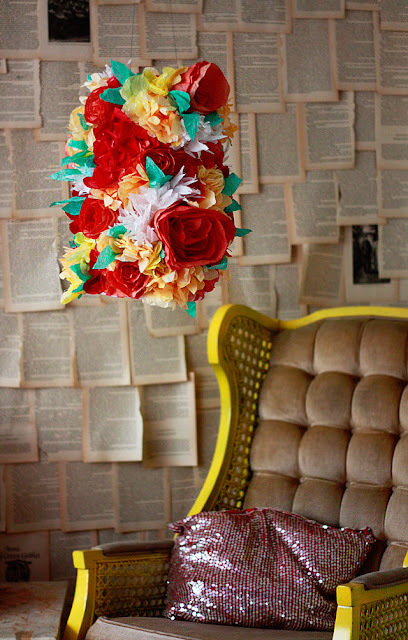 But this paper flowered lampshade from Aunt Peaches is not only perfect for Cinco de Mayo, but also makes such a pretty focal point for a party or room. I think you really need to use paper flowers for this. I don't think you'll get the same fluffy, vibrant effect with fake flowers. Find the full how-to here.